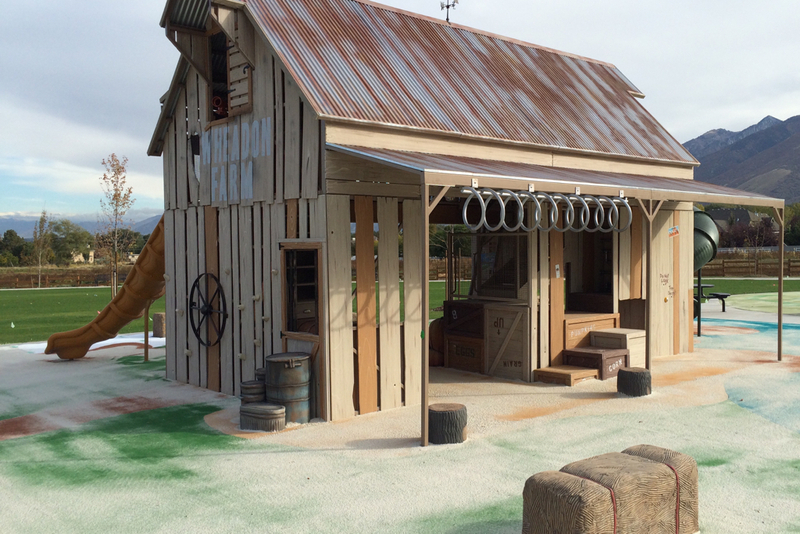 Yeeeee-Hawww! 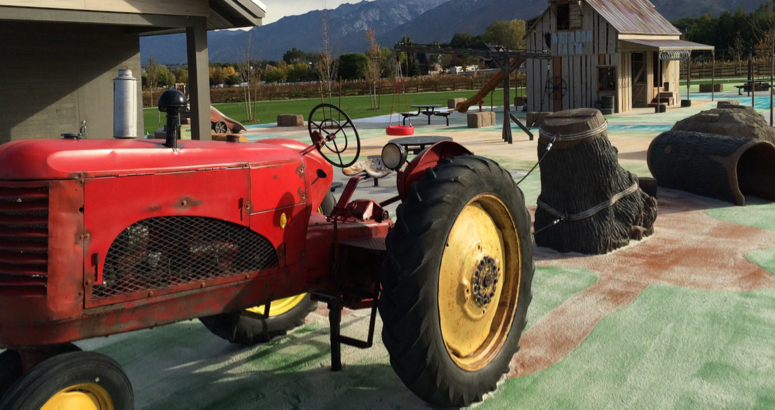 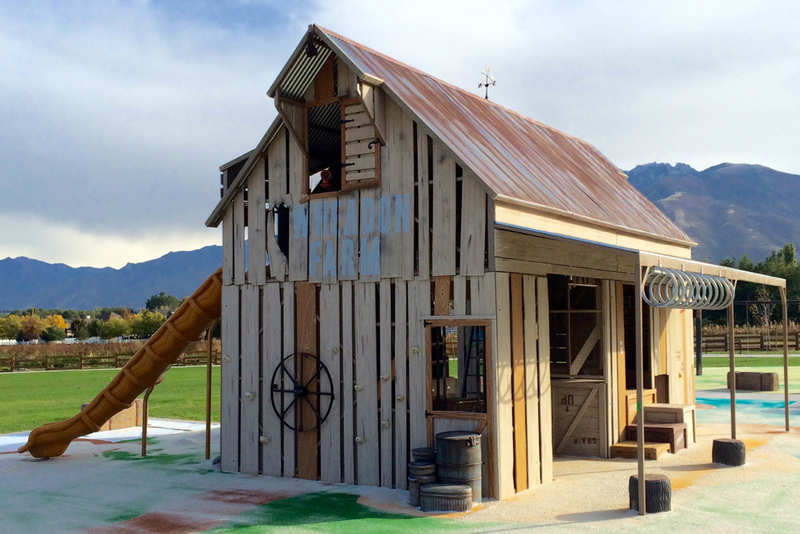 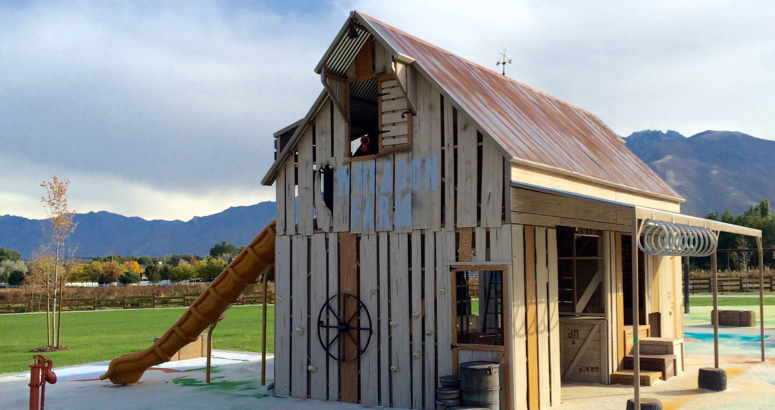 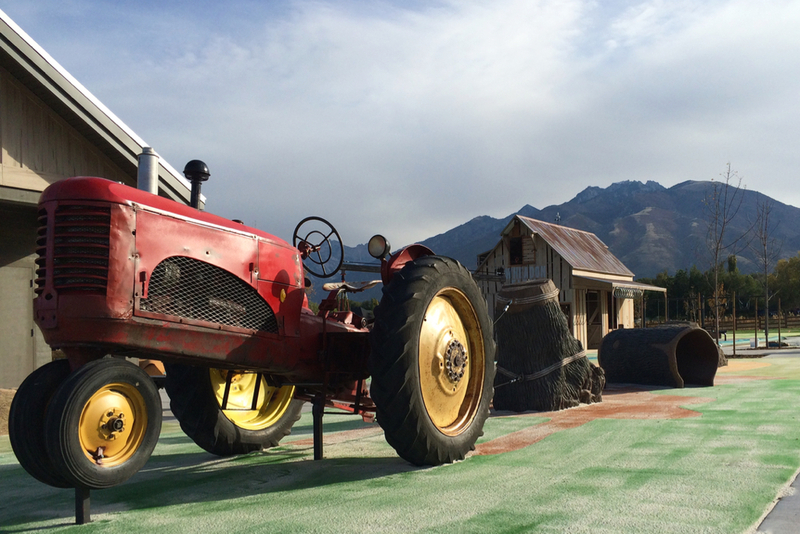 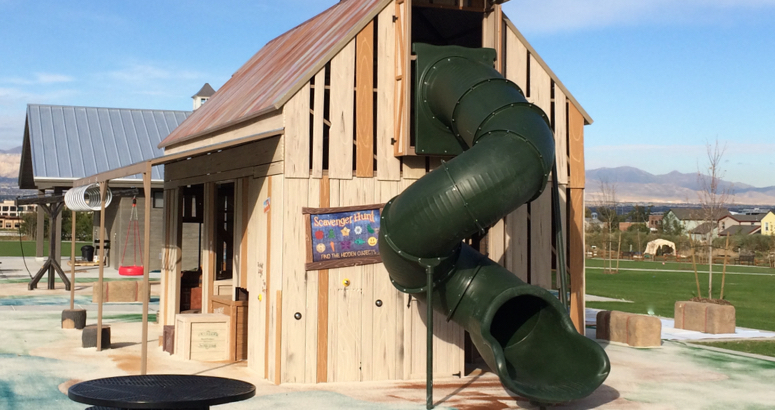 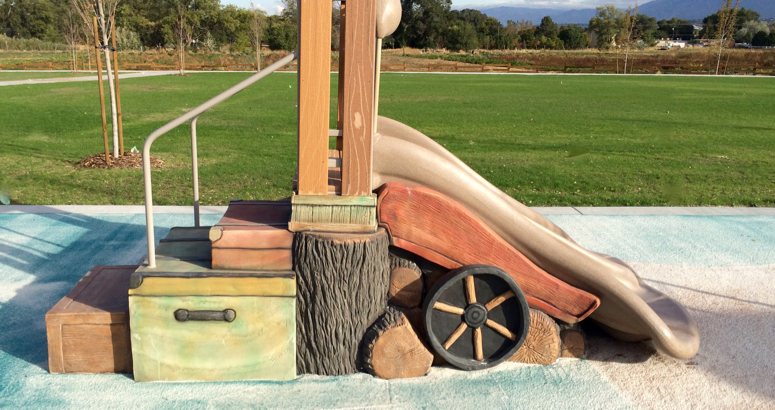 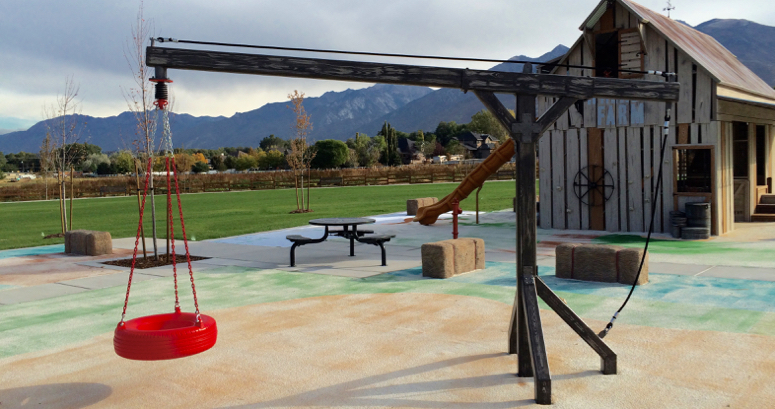 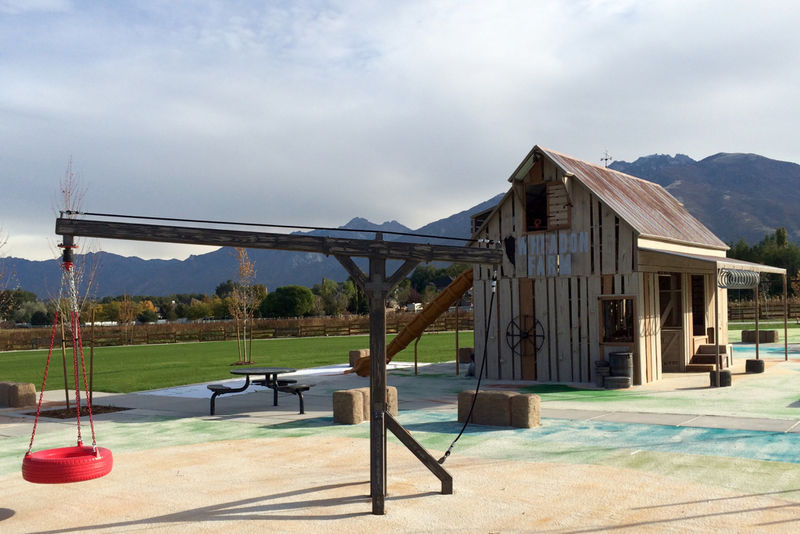 An old family farm is now the new home to a one-of-a-kind play experience for the little farmers of Salt Lake County, UT. 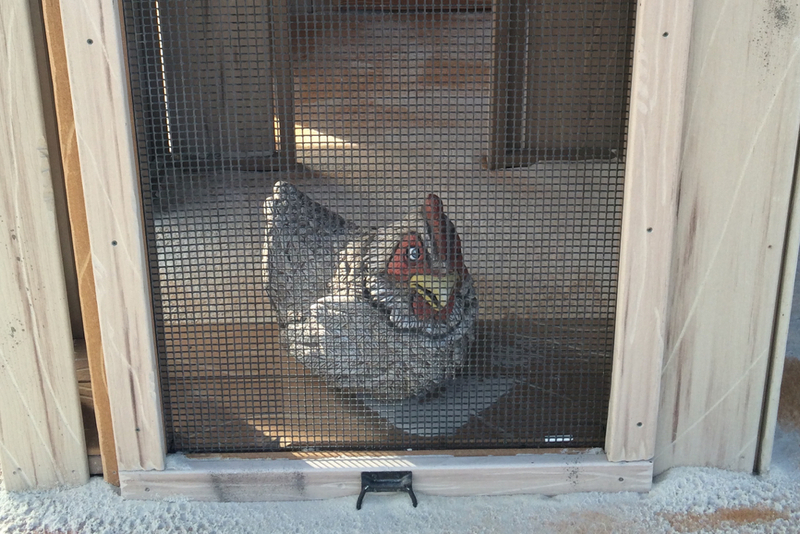 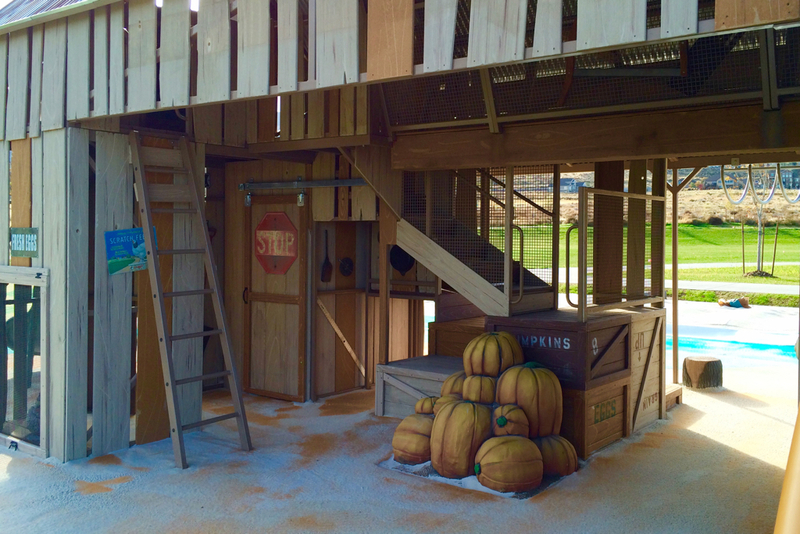 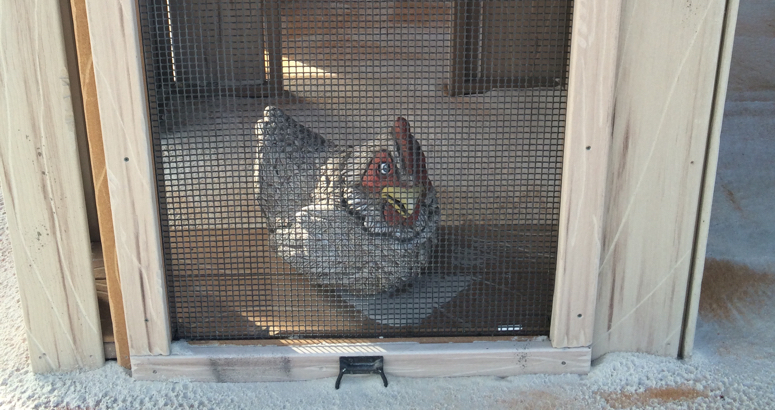 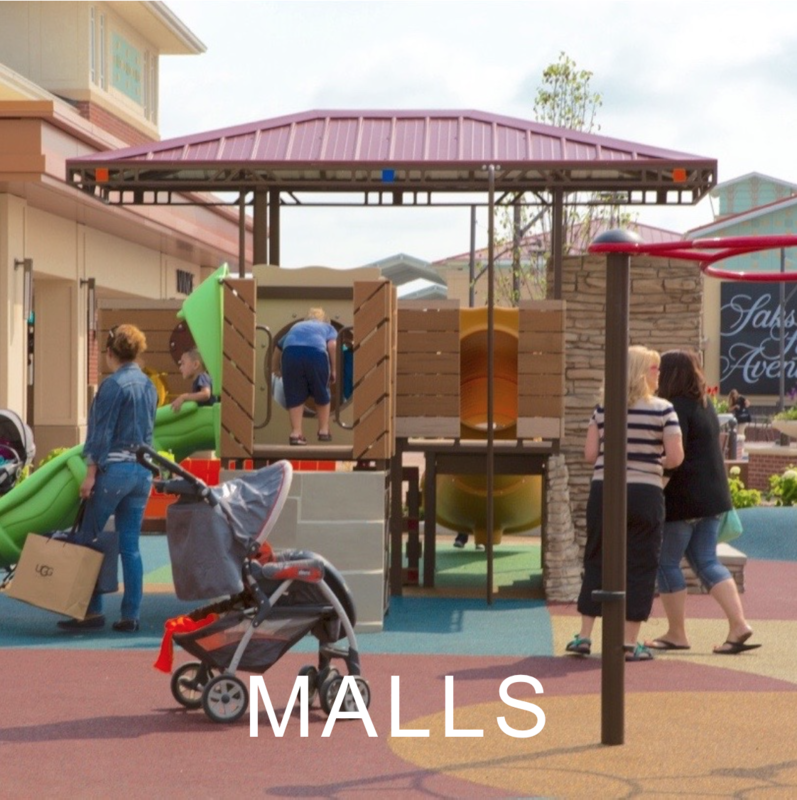 The textures, colors and materials used in Wheadon Farm are what set this farm-themed play environment apart. 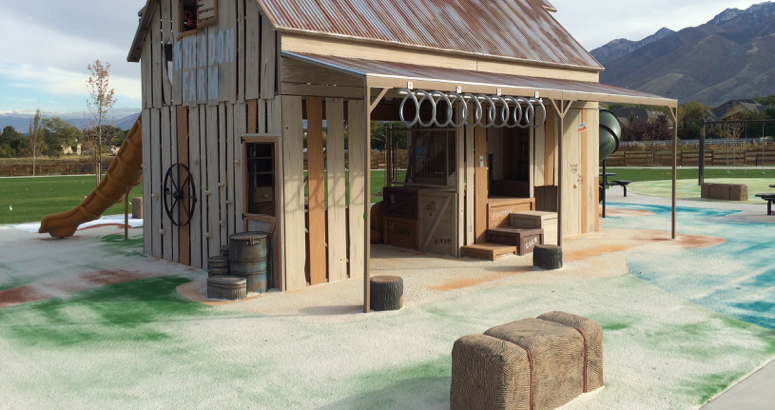 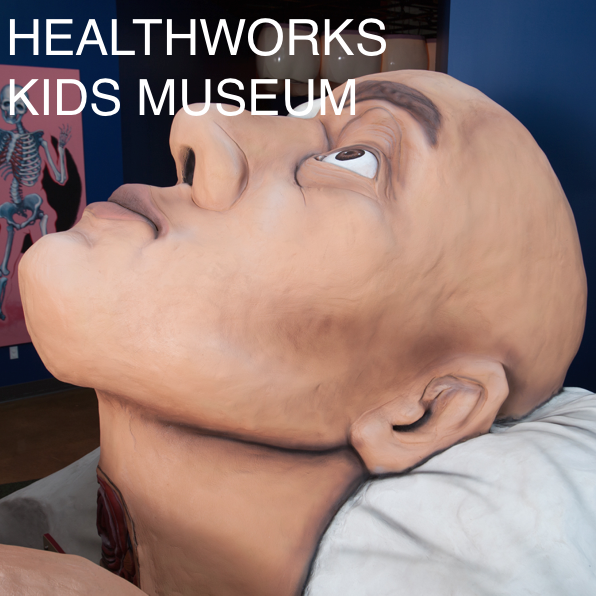 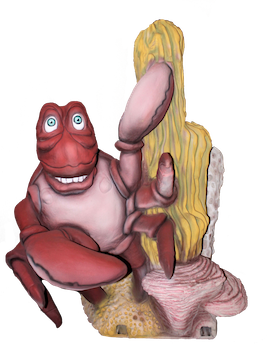 The play elements immerse children into a familiar farm experience of some time ago. 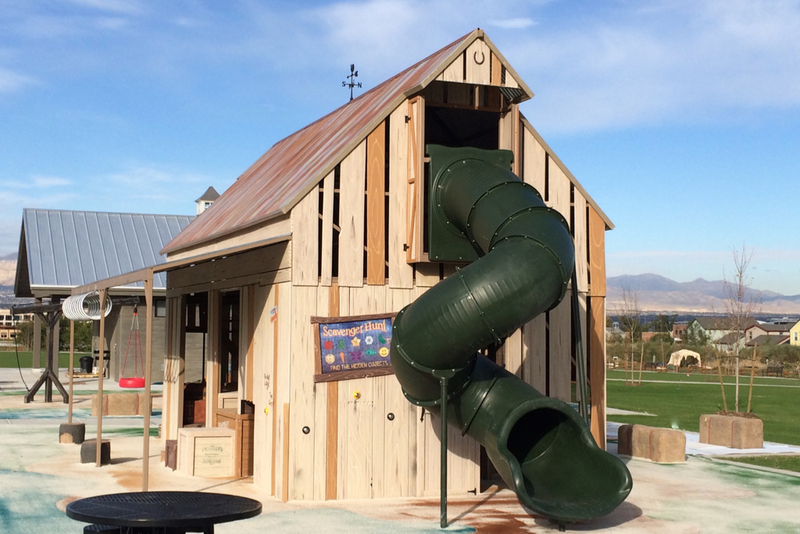 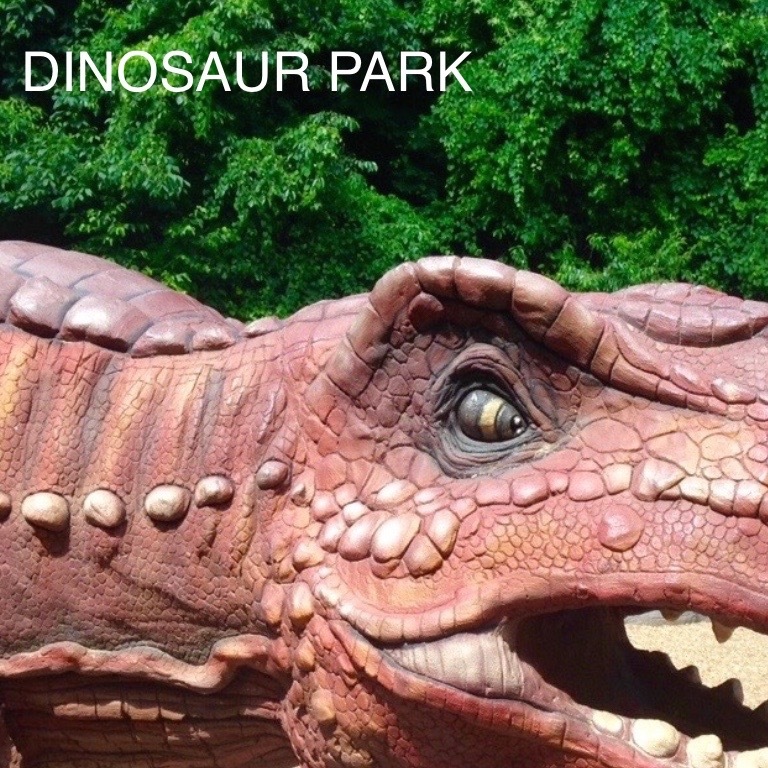 Complete with tons of interactive farm sounds, a scavenger hunt with discovery finds, and challenging climbers throughout, there is definitely enough fun to go around. 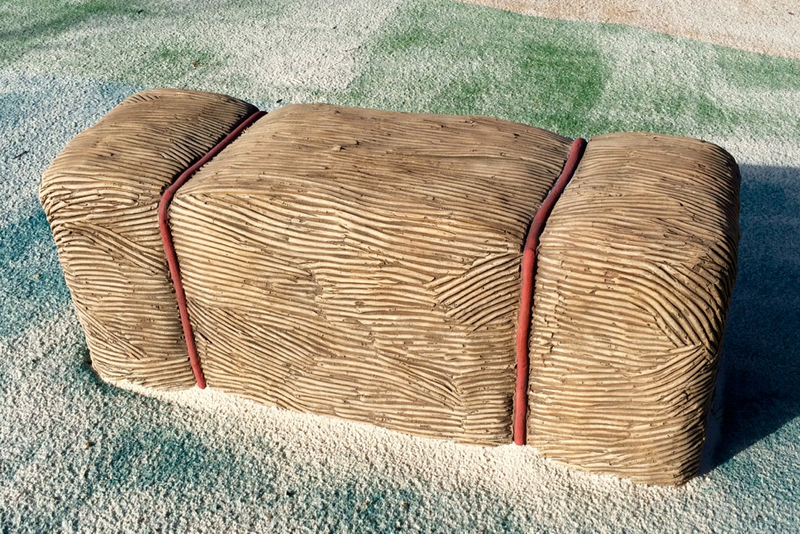 The environment features Cre8Play’s new Hay-Bale benches as well as tables at all corners of the farm. 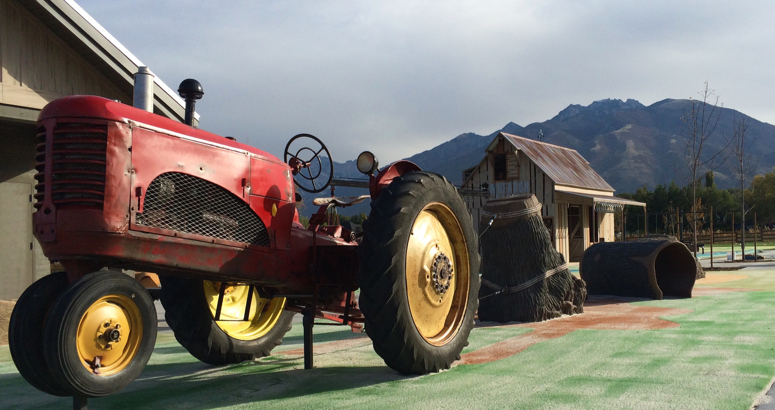 One of the most unique features throughout the farm is a real vintage Massey-Harris Model 101 renovated by Cre8Play. 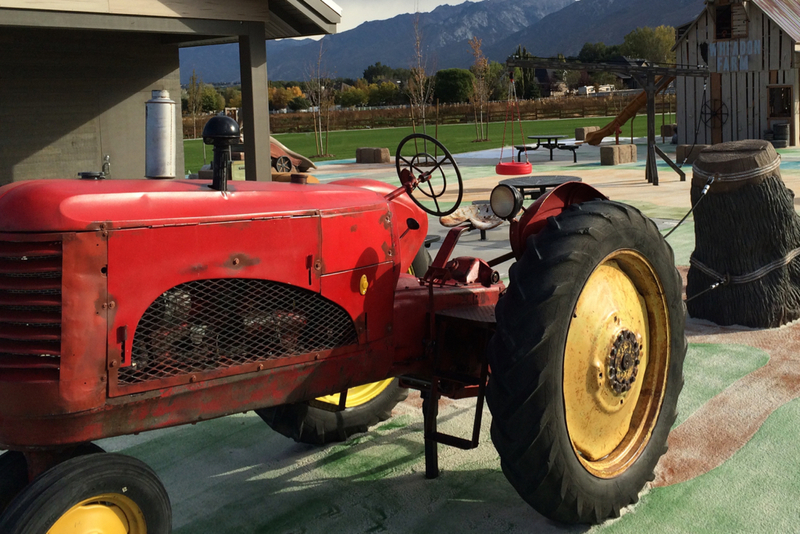 It was carefully restored to make it safe for play while retaining its aged and antique properties. 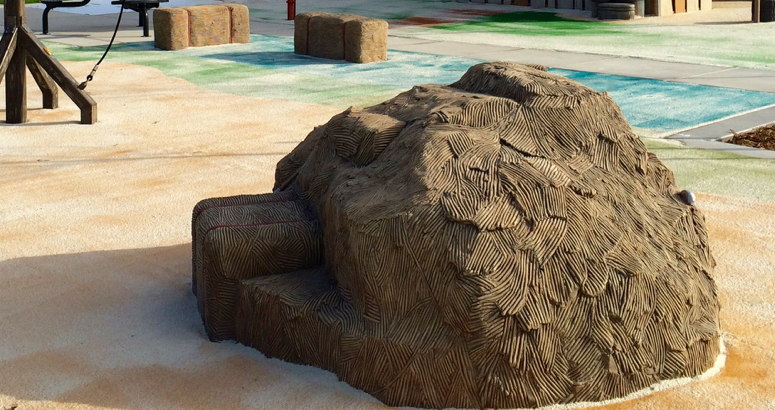 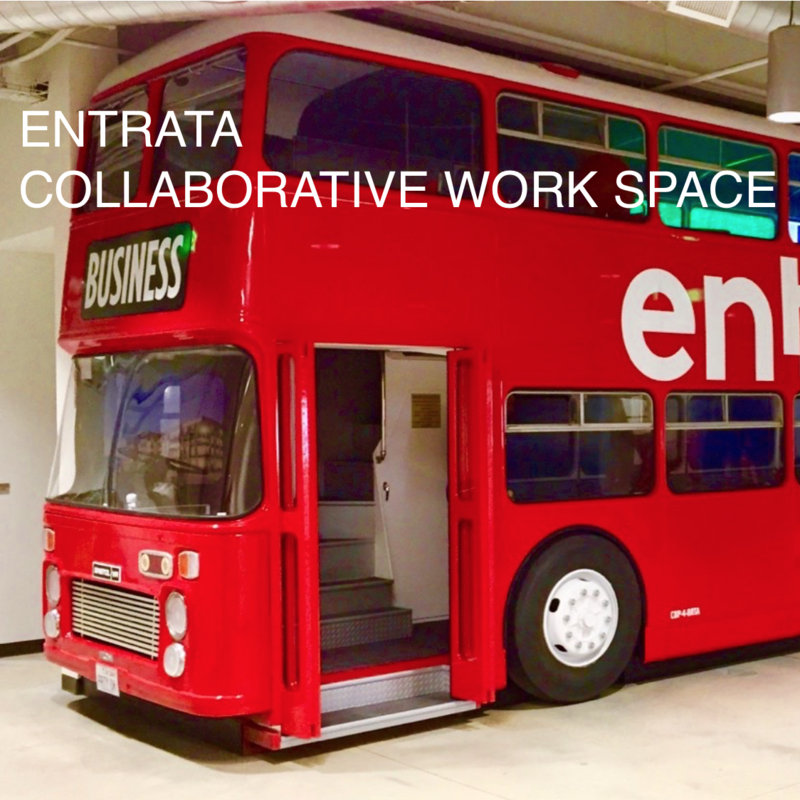 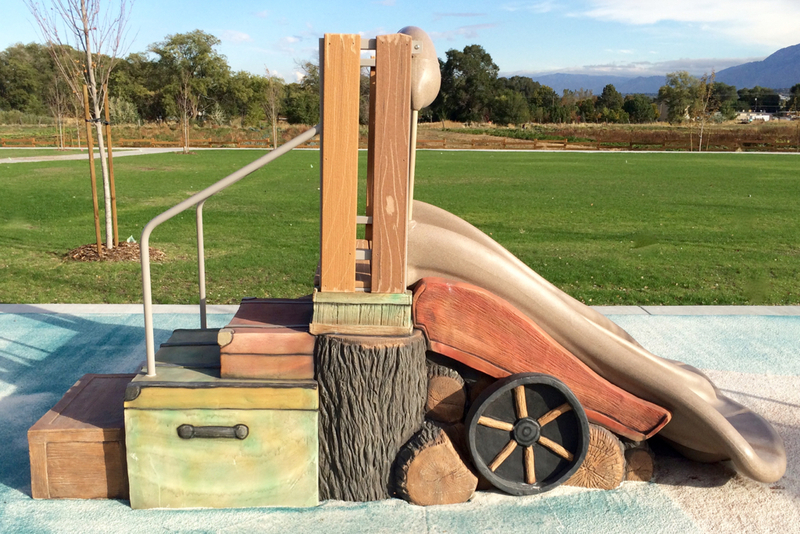 Although the rusting seat and surface looks real, it is completely smooth to touch and safe for climbing! 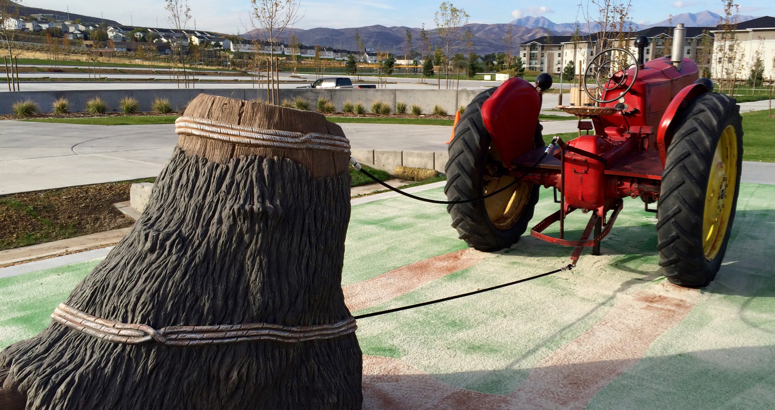 Kids can also climb on the ropes attached to the back of the tractor “pulling” a stump out of the ground. 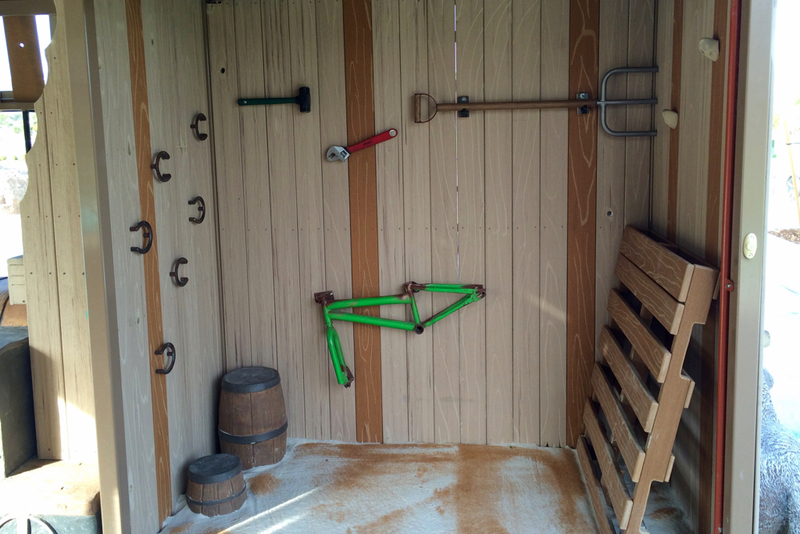 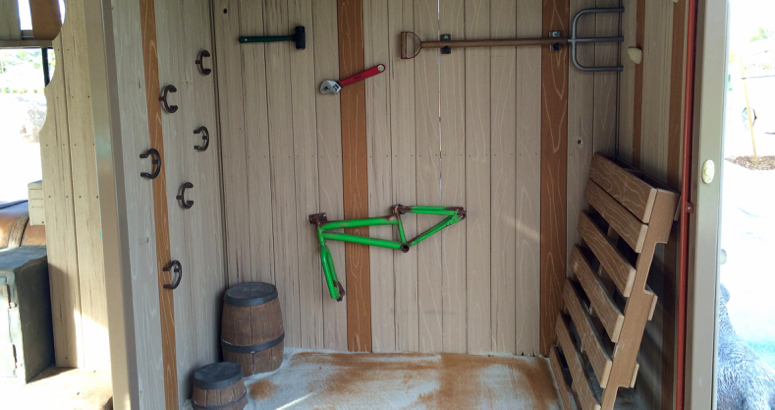 The barn tool climbing wall adds an extra level of challenge and adventure. 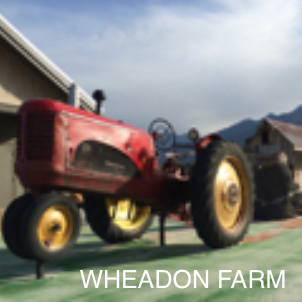 Another unique feature is the replica Hay Derrick tire swing. 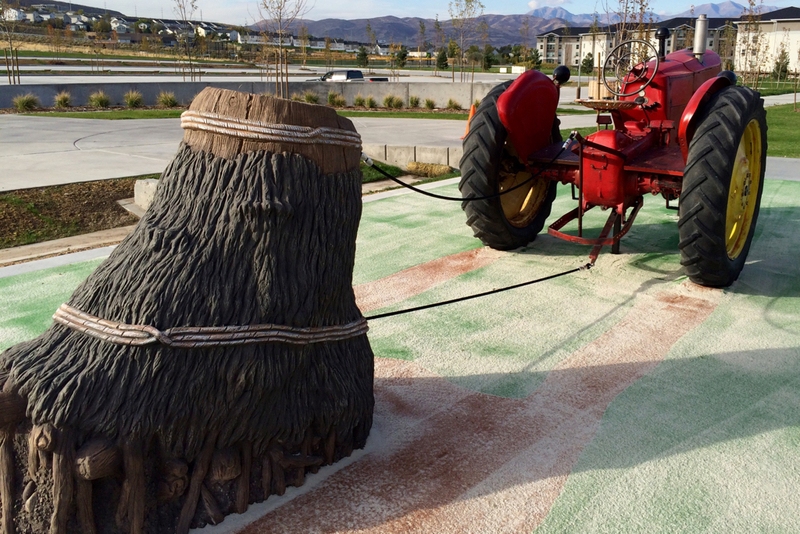 Hay Derricks from an earlier time were almost always homemade and utilized to lift hay, logs and other heavy objects. 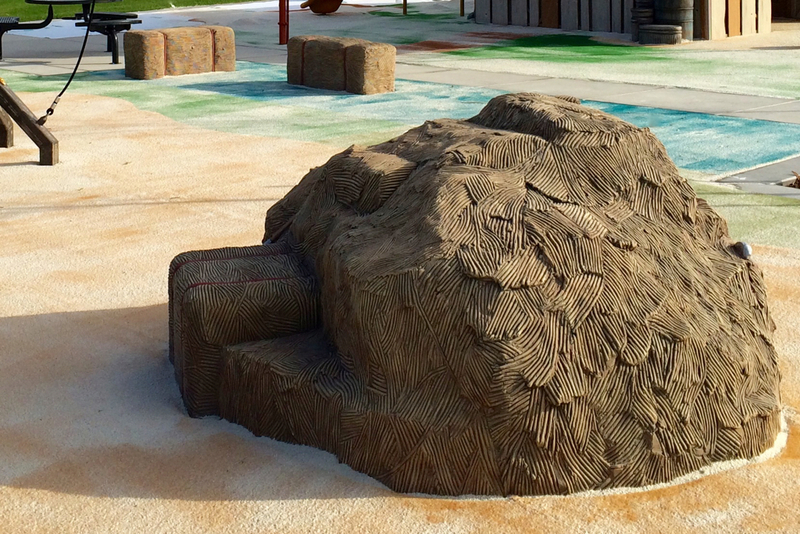 We turned the Hay into “YAY!” and kids will get to experience what it’s like to swing like a bail of hay! 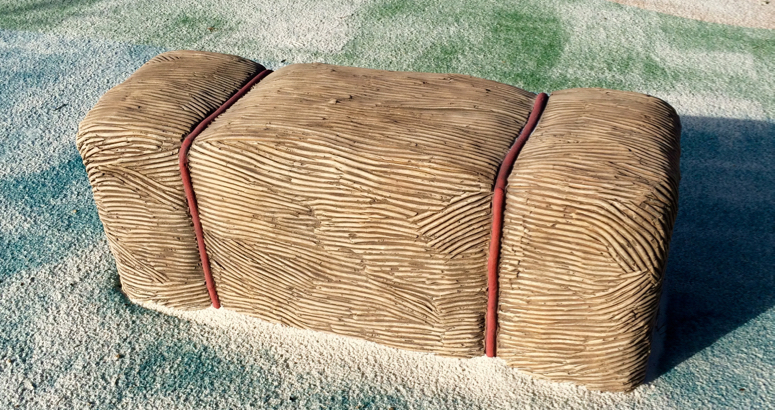 All new turf surfacing from the U.K. was installed which, from an aerial viewpoint, reveals unique crop circle patterns. 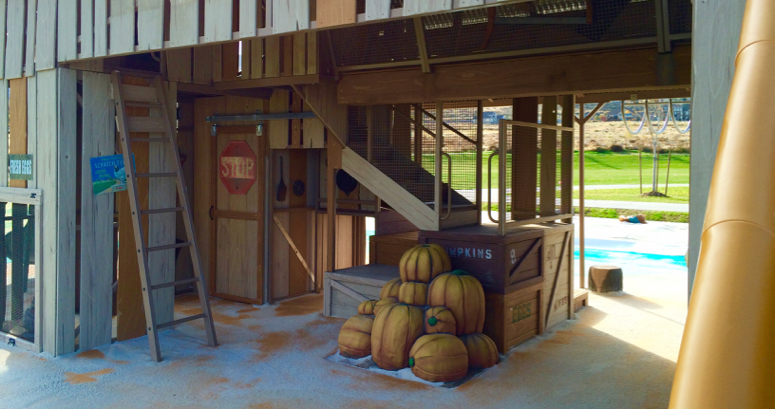 There is a transfer deck for those in wheelchairs and transition color changes throughout all decking to indicate steps for those with visual impairments.